There are two ways to reply back to a customer on a Public Issue. 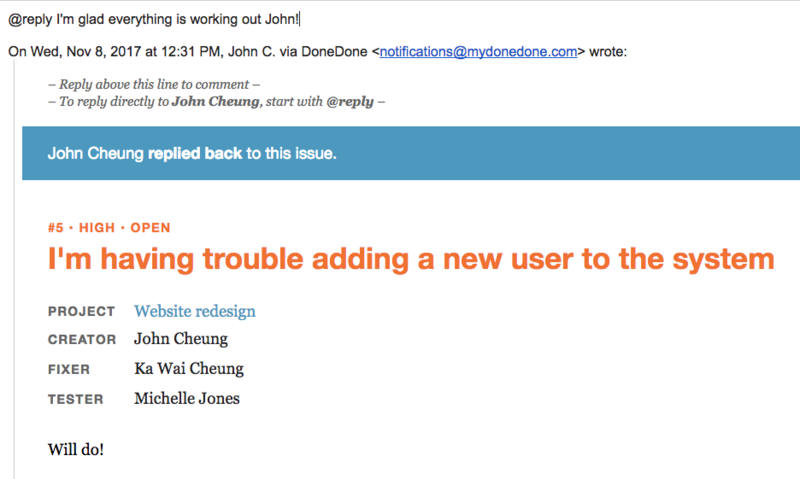 Inside of DoneDone, scroll to the bottom of the issue detail page and click the Reply to Submitter tab. Enter your reply and click Preview Reply to check the formatting and your signature. Click the Send Reply button to send the email. 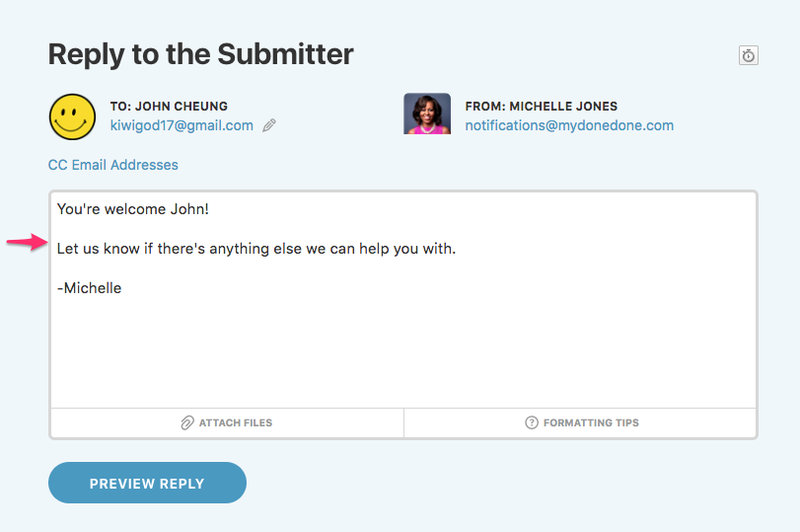 Anytime a customer sends an email to the Public Issues address or replies to a Public Issues email, anyone assigned to the issue will be notified via email, just like they would with any DoneDone issue. 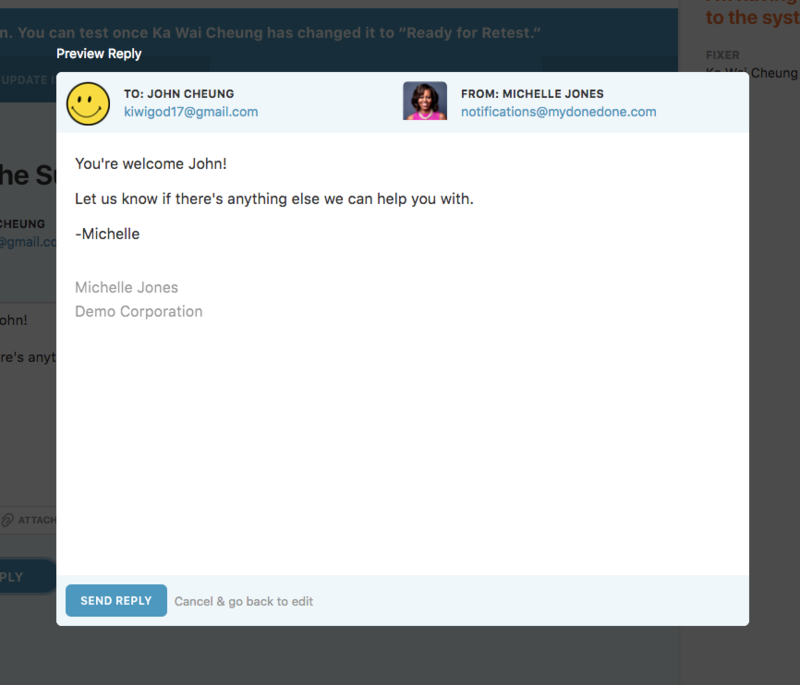 To reply directly back to the customer, simply start your email reply with @reply. Otherwise, your reply will be added as a normal comment to your internal team.